Another heavily celebrity endorsed product is receiving consumer backlash in the form of a class action lawsuit. EOS Lip Balm. Users are claiming they have experienced everything from dry lips to chemical burns to long term loss of lip color. 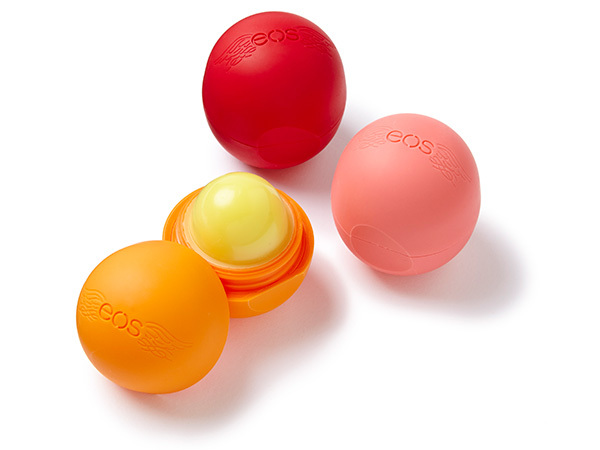 Personally, I used EOS in Passionfruit for a week in 2011. I remember it very clearly because I thought the balm smelled fantastic. It went on smoothly and I thought I had a winner. By the end of the second day, I noticed my lips felt tight. Must not be using enough lip balm. The third day, my lips felt rough. Four days into using the EOS lip balm and the skin started peeling off my lips. I finally came to my sense and stopped using the EOS. My lips continued to suffer despite emergency applications of oil lip rescue products. They eventually cracked and started bleeding. It took a month for my lips to heal themselves. I've always taken very good care of my lips and have never experienced anything like my reaction to EOS before or since. I currently use lip balm from 100% Pure. According to the EOS website, this is the current ingredients list for their standard lip balms. Nothing really jumps out at me except for the Linalool. Perhaps reactions to the fruit acids? More photos and user discussion on the Buzzfeed link. Read the lawsuit details EOS Class Action Lawsuit Filing.